As a short month, February seemingly slipped by me in a wink. Between limited fishing opportunities, blankets of snow and abysmally cold weather, there just wasn’t much to report. Most years, February is a month I just can’t wait to send packing. Admittedly, I was also a bit distracted by an upcoming trip to Christmas Island nearly a year in the planning. Much of my time went into obsessively tying flies, packing and organizing, getting as prepared as possible for the great unknown. The trip was everything I had hoped it would be and then some. Christmas Island is largely regarded as a premiere bonefish destination, and it certainly was on all accounts, but the staggering variety of species we encountered along the way was absolutely mind-blowing. Bluefin Trevally, Banded Trevally, Golden Trevally, Dusky Trevally, Giant Trevally, Triggerfish, Parrot Fish, Queenfish, Milkfish, Barracuda, Grouper, Sweetlips Snapper, Yellow Snapper and Yellowfin Tuna were among the strange and wondrous species we crossed paths with along the way in between bonefish big and small. 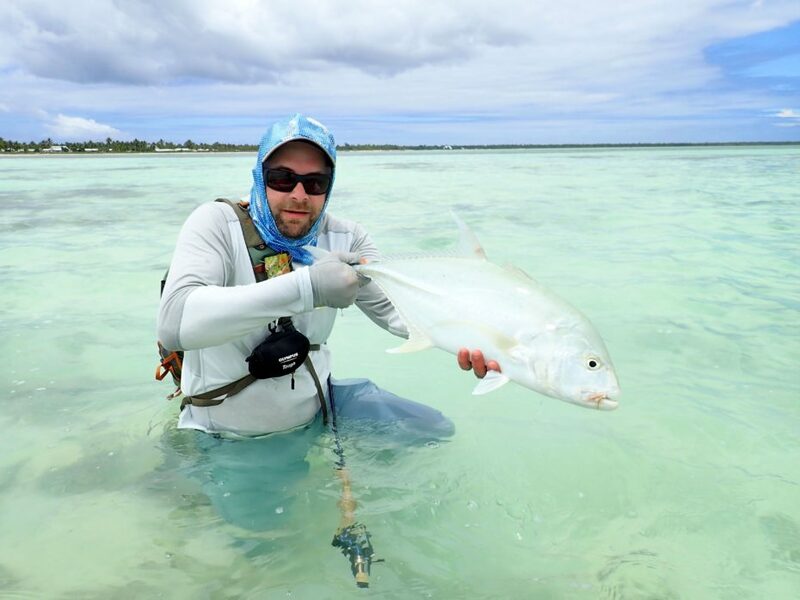 We almost never fished the same place twice, exploring as much of the atoll as time allowed by boat, by truck and on foot. The wind blew, the sun shined, and reels sang. We ate a lot of sashimi, varied preparations of tuna, breadfruit, rice and more than a few succulent mantis shrimp as well as discovered a newfound appreciation for Tang, the official drink of astronauts and Kiribati people alike. While fish so often monopolize the limelight as the centerpiece of our fishing adventures, this trip really reminded me that it’s as much about the people you get to share the water with along the way. Our group consisted of old and new friends, all pretty consummate fisher people and four boisterous Canucks from Saskatchewan that we met at the lodge and really connected with. 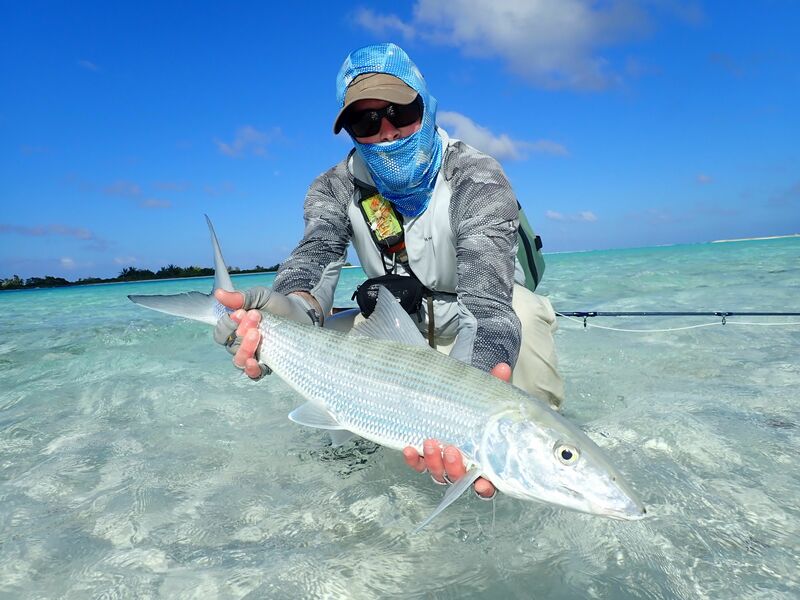 Our Kiribati guides were friendly, patient, sometimes comical and above all, have their fisheries pretty dialed. We enjoyed their stories, insights, guidance and drive to make us see better, cast better and much of the time, simply not completely choke when a big shadowy shape suddenly appeared on the edge of a flat and you had about a tenth of a second to either make your dreams come true or utterly blow it. Words cannot express how much fun we had, though I’m doing my best. We look forward to another run to Christmas Island in 2020 and have space available. Drop me an email or phone call if you’re so inclined or want to hear more. 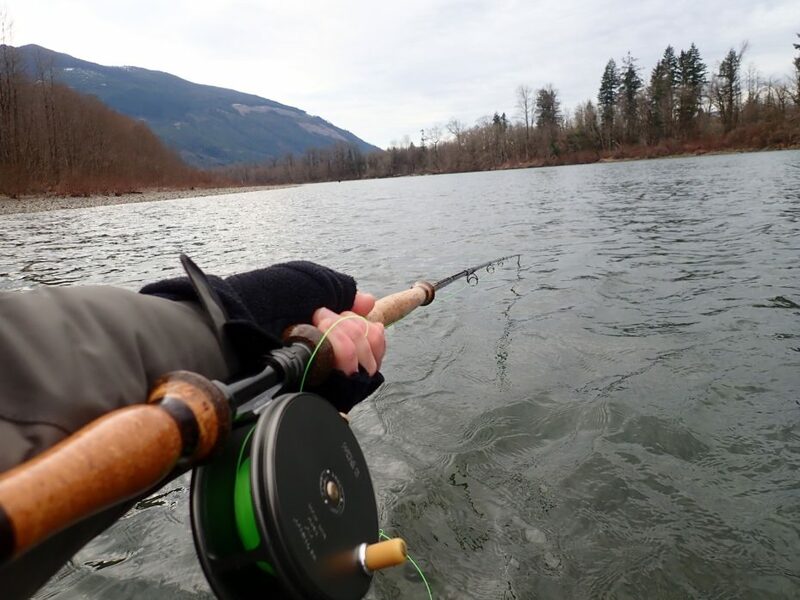 In the meantime, the Skagit and Sauk are open for the moment, steelhead are around from BC to the Olympic Peninsula, the salt is fishing well and our early season lake fishing is underway. If only things would warm up a few degrees around here. I’m not quite ready to put away the sandals! The big news is that a Skagit/Sauk spring catch and release season was announced at the end of January, allowing us to fish from the Dalles Bridge in Concrete up to the Marblemount Bridge and up to the Darrington Bridge on the Sauk through April 30th or until our impacts are reached. Steelhead fishing has been far from red hot, though those who put in their time are finding a few fish. We’re looking forward to a shot of rain eventually along with warming temperatures to get things going again. River conditions have pretty much gone from low to lower over the past month with our abnormally cold weather. While the main roads are fine along the Highway 20 corridor it’s still something of a challenge to access some of the pullouts and side roads with the layers upon layers of accumulated snow. Still, it’s nice to have a steelhead option reasonably close to home that doesn’t entail crossing the border or making the long trek out to the Olympic Peninsula. Folks are finding a mix of bull trout and a few steelhead in the Skagit and Sauk and we’re hearing of fish from the Peninsula to the Vedder as well. Even when it’s a tough game out there, the act of swinging flies for steelhead on a two-handed rod is about as relaxing, meditative and rejuvenating an activity as one could seek out. It’s just a bonus when that chrome, mid-teens hen erupts at the end of your line and all hell breaks loose. Fly-wise, you’ll want to stick to smaller presentations like Hoh-Bo Speys and Marabou GP’s. We like oranges and reds in the mid day sun and purples, blacks or blues in the off hours. Don’t be afraid to fish something like an olive Pick Yr Pocket or Exasperator Sculpin or White Signature Intruder in the cold, clear water as well. These more subdued patterns often out perform their gaudy cousins under such conditions. Late March and early April we typically begin seeing a few chum fry emerging from the gravel. This is a fine time to pick up a trout spey or 5 weight single hander and explore the Fraser, Squamish and Harrison Rivers in BC for cutthroat and bull trout on the prowl for salmon fry. Before the temperatures dropped substantially and much of the lake iced over, Pass had been fishing pretty decent with bloodworm and small minnow or leech imitations. As the days slowly heat up, look for early lake fishing to improve and for our first big chironomid hatches of the year to kick off in March. Squalicum is also a good early season lake and March is one of my favorite months to fish it provided the sun is shining and the winds are down. Hot bead San Juans, BC Bloodworms, #14-16 Black/red ribbed chironomids, Vidmids, and Black/silver Ice Cream Cones are pretty effective. Grandy, Vogler and Lone can also come alive this month if we get a warming trend. We’re seeing more and more sea run bulls showing along Skagit Bay beaches with good numbers of cutthroat a month to a month and a half away. 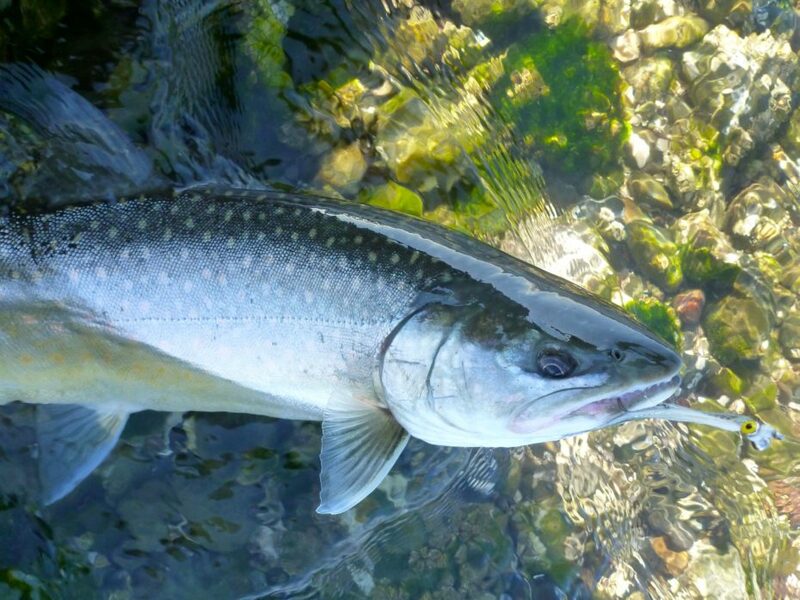 Hood Canal is getting it’s early chum fry emergence and the cutthroat there are hunting them down in shallow water. It’s an exciting pursuit if you’re up for a little adventure. Small Chum Baby’s, Chumbody’s Baby and Olive/white Clouser Minnows are working for cutthroat, with larger Deceivers, Clousers, and Psychedelic Herring being more effective for the smelt guzzling bulls that are hanging around. 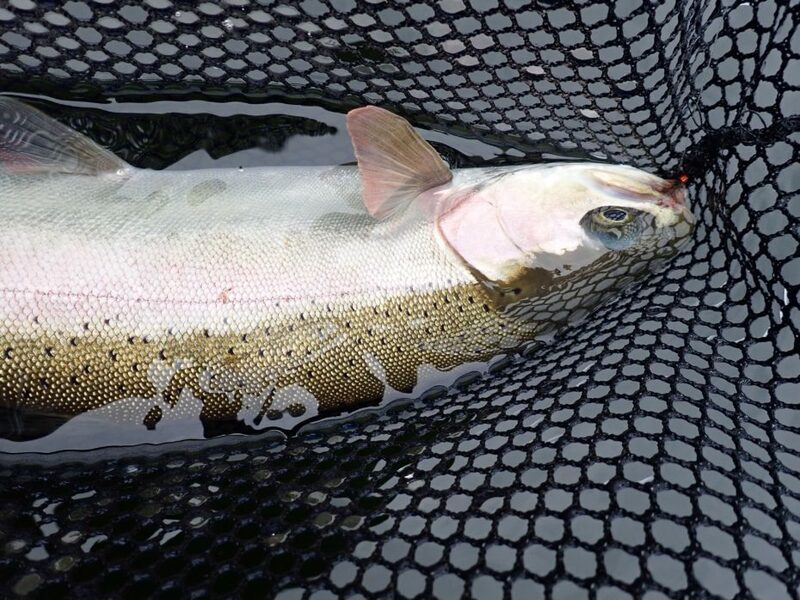 Tagged Bull Trout, Fishing Report, winter steelhead.